High top shoes are back in style and we just can’t get enough of them! The trend which was popular in the 80s made a return with even more to offer us, thus leaving us sneaker-lovers with more choice. High top shoes are so popular that even high end brands such as Viktor & Rolf, Gucci and Isabel Marant have latched on to the hype. Whether you are going for a sporty look or a more sophisticated one, this article has all the tips and tricks you need to maximize your levels of stylishness when rocking sneakers. Read on for more. What brands do you really like? Do you like popular sports and casual wear brands such as: Reebok, Nike and Converse or do you fancy the high end designer brand of sneakers like: Michael Kors, Raf Simons or Isabel Marant? One thing that should be considered when buying sneakers is the way it fits and looks on you. Choosing the brand you want will make wearing them more enjoyable. 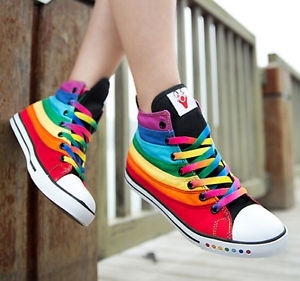 High tops look amazing when they are colored. Get experimental with them by opting for cool prints, illuminating colors and different colored laces. If you want to know how to wear a high top properly, especially when it’s colored, here is the answer: it is by wearing a plain t shirt and simple trousers so that you don’t look over the top. Also, it will be a great way to draw attention to your footwear. It is so easy to get the wrong size in high tops, especially if you have purchased them online. The fitting is very important. Having them too tight could be uncomfortable and too big could give you the Justin Bieber image. 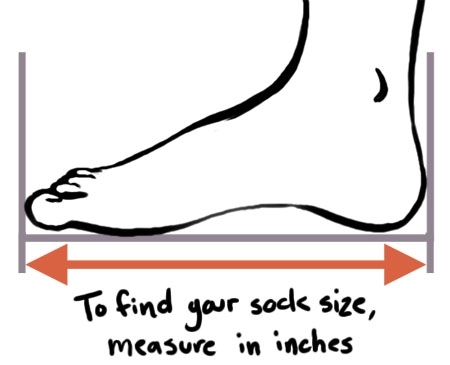 Find the most suitable size for yourself as you should do when choosing every pair of shoes. Padded. Padded high tops can be quite adventurous and tricky to pull off, but with some straight legged or skinny jeans, they will look just fine. 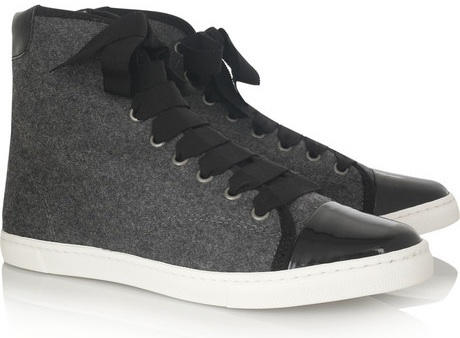 Padded high tops make a bold statement and are very eye-catching. Plus they come in a variety of colors too. Plain and neutral. Plain and neutral high tops allows you to be a bit more daring with your clothing, meaning you can wear a shirt with crazy prints and not look like you’re trying to do too much. If you are opting for a relaxed casual image then you can sport your plain high tops with chinos or skinny jeans. The downside of thin high tops is that when you tie them to the top tightly, they can look very awkward and make your feet look really big, especially when worn with skinny jeans. It can also make your ankle look small and strange. A tip to prevent this from happening is to tie your laces to the middle instead of the top and make sure that the knot isn’t too tight. Another tip for how to wear high tops without looking weird is to wear trousers with lots of wide space at the bottom. This makes your body look in proportion. With high top sneakers that are thick, you can sport them with a miniskirt and no tights, then your shoes will be the main attraction, as it stands out more without baggy trousers or tights in the way. You can also wear your chunky high tops with a pair of skinny jeans. Skinny jeans look nice with big shoes and chunky footwear too. The boyfriend jean. The boyfriend jeans look just as great with tops as with skinny jeans. Boyfriend jeans (because they’re not too fitted) can give you more versatility because you can wear a variety of sneaker styles, roll your jeans up and dress them up or down, depending on the style you’re going for. The tank dress. Converses look great with dresses in the summer. Plus, it’s a fantastic way to be both sporty and girly. High top sneakers or tennis shoes are super comfy. They protect your feet and allow you to do more. Wear your outfit with a nice denim jacket on top for when the sun starts to set. Mount Everest high tops are the highest type of high-level shoes you will find. You can rock these with straight jeans that are fitted. Don’t wear baggy jeans because it can make you look very unkempt and even clumsy. You will look more stylish with straight-fits. If you have mid tops, see if you have a long pair of straight-fit jeans to go with it too. Make sure they are the right fit. Crinkle them, and don’t get them too skinny, or you might look too girly. Sock are to sneakers what butter is to bread. They’re perfect for each other. Wearing sneakers without socks can lead to unpleasant odors, especially if you are very active. Long socks or ankle socks which people can see can look very unstylish. So your best bet would be to wear socks which are low-cut and invisible to other people. When you have got to grips with wearing unnoticeable socks, you can roll a pair of slim jeans up or rock a pair of cropped trousers. This style of wearing things exposes some of your ankle and gives a crisp tailored look that makes people focus on your shoes. It works best with simple, classy looking sneakers though. People don’t really coordinate their clothes with their shoes anymore because it can seem a bit outdated. However, sometimes there are exceptions. Chose a cardigan that contrasts with your shirt but matches the color of your shoe. Also, wear a nice T-shirt with some regular jeans. The style of your hair is also very vital too. High tops are fun and cool to wear – perfect for chilled, laid back social situations. However they are sporty and are not appropriate for certain situations such as corporate business meetings, funerals or black tie events. Think well before you put on one pair of them. Server responsed at: 04/18/2019 10:26 a.m.